HQMould-a professional plastic injection moulds maker. Top-3 Injection Moulding Defects and How to Fix Them? Flow lines defects caused due to the flow of molten plastics into the mould in varying speed by making some bends in the output. This condition may also occur when the molten plastic flows through the mould of having varying wall thickness. · It is necessary to have injection speeds and pressure applied to the molten plastics maintaining at an optimal level. In addition to this, check the cavities filled properly or not. · Round corners and locations avoided to change the direction of flow of molten plastics. If the cooling method is not done properly for the molten plastic, then it will result in sink marks. Most of the automotive parts moulding manufacturer maintains cooling time to avoid sink marks. Lower the molding temperature, raise the holding pressure and finally increase the holding time so that the molten plastics will get adequate cooling time. They are some air pockets that get trapped nearer to the surface of an injection moulded prototype, due to uneven solidification. · Here too similar to sink marks, increase the holding pressure and holding time as well. · Checking the alignment of mould parts properly to avoid vacuum voids. What is the Need of China Mould Manufacturer in Industry? China Mould Manufacturer is the first choice for industrialists who need to produce any kind of equipment for any kind of purpose from buttons to air crafts. However, moulds can be found for manufacturing products in various materials like metal, ceramic, glass, and plastic. Some equipment requires thermoplastic materials as well. In traditional methods, there is a scope for errors in the design or breakage or wastage of materials in the higher levels. But with plastic injection technology in mould making, breakage of the material is almost zero and wastage of the material is very minimal since plastic is one of the best flexible materials for manufacturing all kinds of products. In a nutshell, why to use injection moulding? Injection moulding is useful to manufacture objects in bigger quantities. There will be no error in any one of the product even when millions of products are made using this mould maker at a time and the scope for wastage will be lesser when compared to traditional methods. In traditional methods like making moulds using CNC, plastic sheets or blocks are cut in higher quantities and hence wastage and breakage of the material will be in larger quantities. In injection moulding, all the plastic material will be melted and sent into mould makers and hence there will be lesser scope for wastage. Hence, injection mould making is better process when you need to produce the orders in bulk quantities. 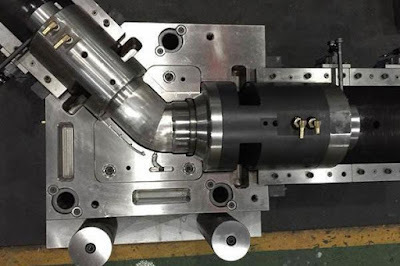 Though the 3D printing technology gives lesser scrap, it is very expensive and hence injection technology became popular in industries for manufacture in larger quantities in industries like http://www.hqmould.com/. How to Find a Plastic Mould Specialist? Plastic mould manufacturer uses the technique of Plastic Injection Molding to manufacture a range of plastic products. Most companies use the above process, to manufacture a range of plastic products according to your specifications. One such specialized company in manufacturing plastic injection mould is HQ Mould. Such manufacturers providing other services like plastic moulds for home appliance, automotive parts, pipe and fittings, etc. Plastic mould manufacturers use different injection processes in different companies. The most common method involves melting pallets to make it soft enough and that has injected into a mould of your choice. The soft plastic will get harden inside the mould and, it will get the required shape. When the plastic has totally cooled, you can take out the product out from mould. In order to search the best plastic molding company, right place is internet. Most of the companies having a website where you get the needed information and, give you information about products and services they offer. You will also get the contact details and other information of company in its website. 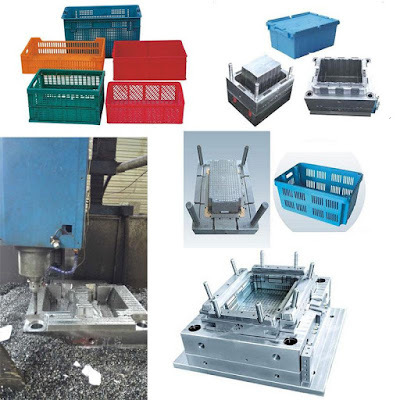 Always choose to work with a reputable and established plastic mould manufacturer company, to receive good service and plastic products of highest quality. Thus, plastic molding is a process in which manufacturer manufacture a range of plastic products in bulk. Industries and factories which are in business of manufacturing plastic products can benefit from the plastic injection moulding process. The most important process in making plastic products is nothing but the making of the molds which have to be made to get the end product. Though you have a number of mould makers who produce a mould that can be used to make moulds that can be used to make products that are the standard type which includes commodity products. But, there are certain products that have to be made to specifications as well as those that need to be very precise. These products cannot be made out of standard molds. The custom mould maker would be able to help you get a mold that is required for making a product with the specifications and the precision you want or expect in the end product. 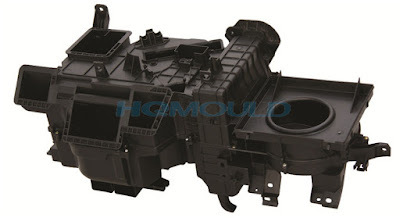 When you want a custom mould and if you approach a reputed mould maker like hqmould, you would be able to get the mould you desire through the collaborative process that involves both you who are looking out for a mould as well as the design and production department of the mould maker in China. · Designing the mould by designing, cost analysis, and other factors. The custom mould that is made with such systematic planning would meet the requirements perfectly.